BQT regulars know that the Upright Citizens Brigade Theatre—without question the city's premier improv theater—is a semiregular contributor to the prize haul, specifically passes to its marquee improv show, ASSSSCAT 3000. It attracts round-the-corner lines every Sunday night, but BQT winners get to cut past the comedy nerds and walk directly into that famously low-ceilinged den of laughter. You never know who will take part, but you're guaranteed quality performers (UCB doesn't give its top spots to just anyone; as an embittered former mediocre improviser, take it from me). They might even be famous performers: I love how the UCB site wisely words it: "possible special guests" from the panoply of TV comedy favorites: SNL, The Daily Show, Conan, and of course, The Goldbergs. 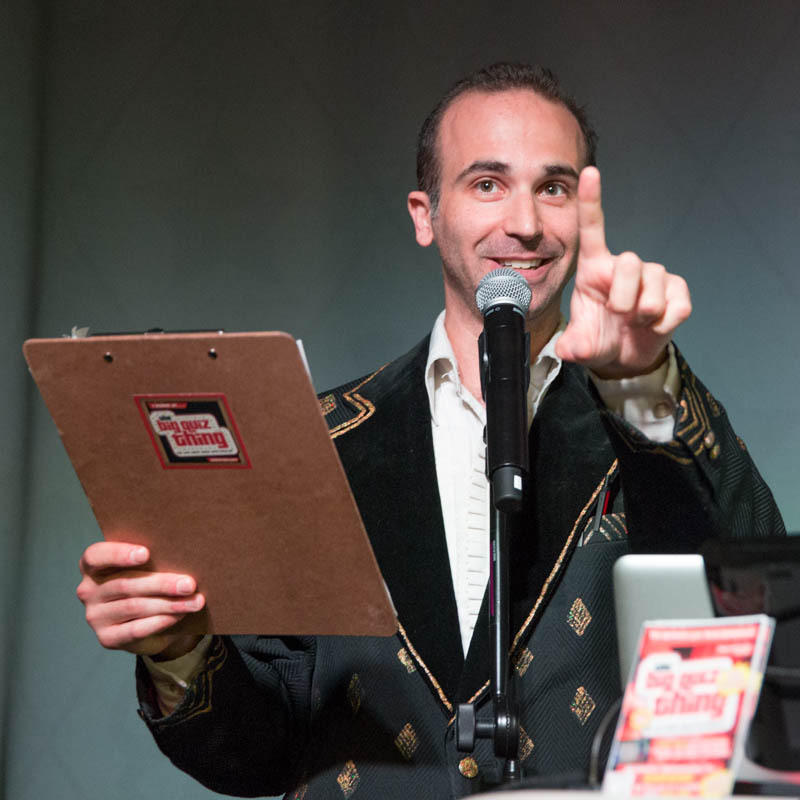 And yes, they're on board for the New York City Clash of the Trivia Champions, only 11 days away. A pass for two to ASSSSCAT 3000, for one of our lucky, lucky teams. Never too late to register, my friends.